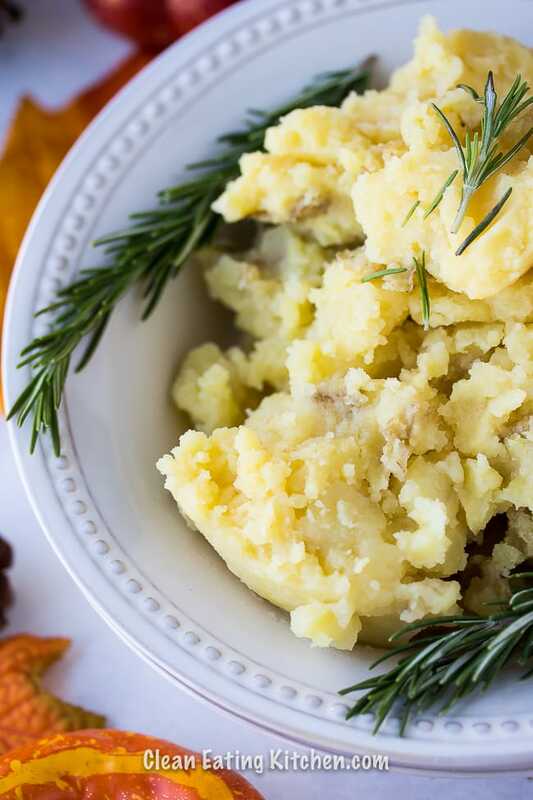 When you need an easy side dish, you should try this recipe for Instant Pot Mashed Potatoes. It’s a one-pot dish that is dairy-free, paleo, and Whole30. So did you see my post about trying to make my entire Thanksgiving dinner in the Instant Pot this year? Am I crazy? Will you join me on this adventure? I recommend the 6-quart Instant Pot if you don’t have one already. And, if you’re tired of reading Instant Pot recipes here on my blog, rest assured that I’ll be offering more non-Instant Pot recipes soon. Here are the recipes I’ve made so far that you might like for your Thanksgiving or holiday table. I gotta be honest, it’s been years since I’ve made mashed potatoes on the stovetop. The one or two times I’ve tried it, I just hated standing over a hot stove and stirring until my arm ached. The Instant Pot is a game-changer in that regard! I love how this recipe is as easy as dumping the potatoes in the pot, mashing them with a few swipes of the masher, and then adding the ghee or butter (use vegan butter to make this recipe 100% dairy-free), and almond milk. Easy, creamy, and delicious mashed potatoes have never been easier, I promise! As I mentioned, this Instant Pot Mashed Potatoes recipe could not be easier. Add the potatoes to the pot, along with the water. Lock on the lid and push the button for pressure cooking. Set the time to 12 minutes. Once the cooking time is complete, use the natural-release or quick-release to unlock the lid. 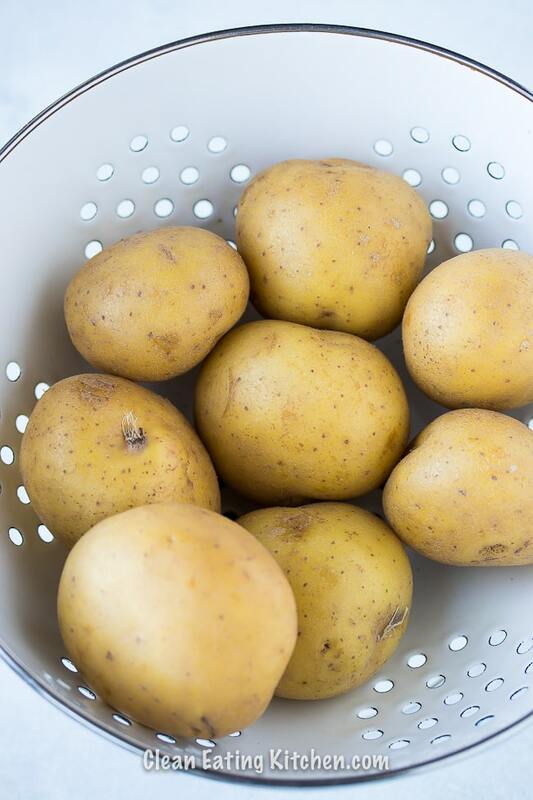 Use a potato masher to carefully mash the potatoes. Add the ghee or butter and stir until combined. Pour in the almond milk and give the potatoes one final stir. 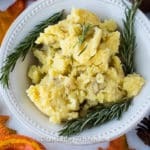 I love this recipe so much that I’m wondering why mashed potatoes shouldn’t be an all-year round recipe? 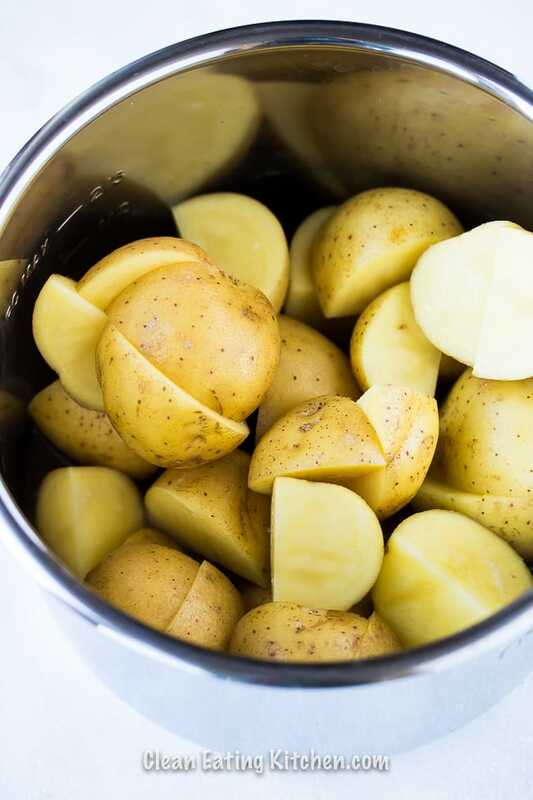 How long do you cook mashed potatoes in the Instant Pot? I recommend 12 minutes for medium-sized potatoes cut in half. What kind of potatoes can I use for mashed potatoes? You can use whatever you like! I have made mashed potatoes with white, red, gold, and even sweet potatoes! (See my recipe for Instant Pot Mashed Sweet Potatoes). Do I need to drain the liquid after cooking the potatoes? I find that you don’t! The liquid gets absorbed into the potatoes to help make them mashed. You only need one cup of liquid per batch. 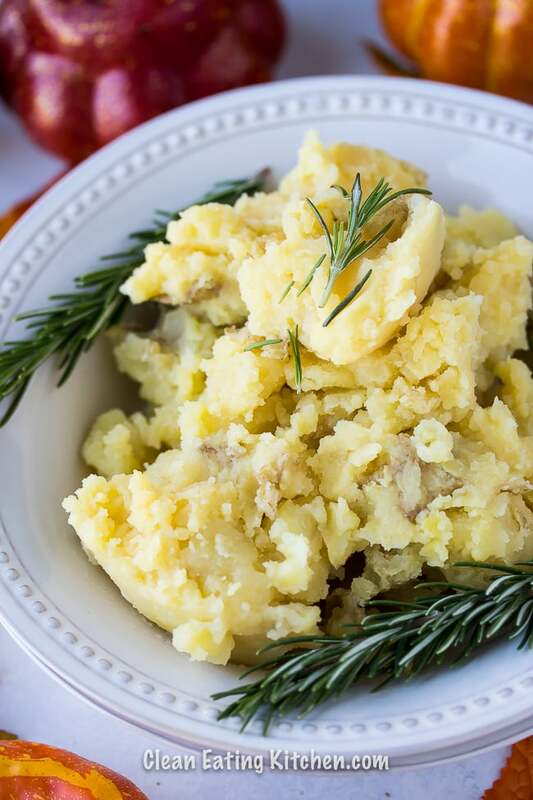 When you need an easy side dish, you should try this recipe for Instant Pot Mashed Potatoes. It’s a one-pot dish with no draining. Add the potatoes to the pot, along with the water. Serve hot and season with salt and pepper, to taste. *ghee is made by removing the milk solids from butter. 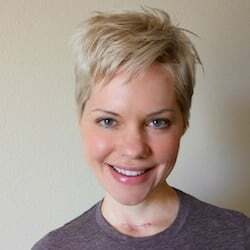 It is usually safe for dairy-free diets. If you prefer, you can use vegan butter that is not made from milk. Vegan butter is safe for dairy allergies. 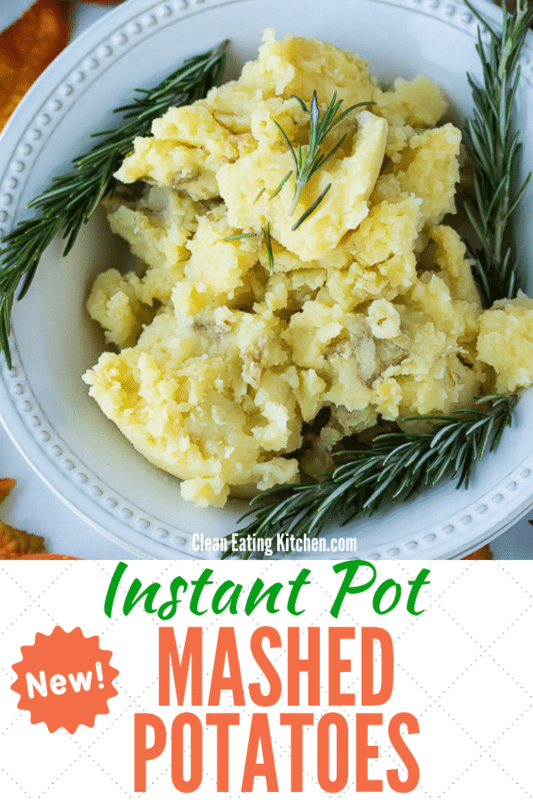 Be sure to pin this image to save this Instant Pot Mashed Potatoes recipe to your favorite Pinterest board! One of my favorite side dishes. So easy! I like potato but thought they were not good for IBS &leaky gut. I’m working on healing mine. It is a long process. I don’t have a n Insta pot, but after seeing your recipes I might need to get o ne! You say in the recipe to halve the potatoes but the video shows them quartered. Were they big in the video? Great question! Either halved or quartered is fine! Enjoy!!! This was soooo good. And love that it’s good for so many diets – thanks!! I love how quickly these come together! I will be making these on Sunday with out lunch. Super quick and easy. I think I’m never making mashed potatoes on the stove again.